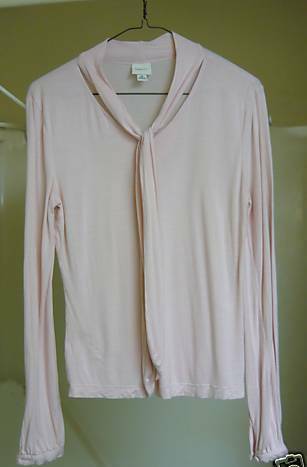 Vintage Soft Retro Pink l/s Jersey w/tie M Very MAD MEN STYLE soft feminine light jersey with attached tie at neck that can be worn a variety of ways. Sleeves button with self covered button. 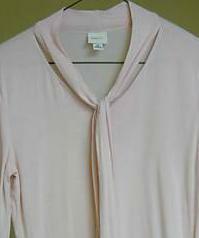 Bust-36". Exc. COMBINED SHIPPING at half off for additional items.